Team White Label Space was formed back in early 2008 by a group of experienced space professionals inspired by the challenge of the Google Lunar X PRIZE. With a strong background in space engineering and knowledge of the costs involved, the group realized that there were numerous global companies that could finance its Google Lunar X PRIZE mission with less than 10% of their yearly advertising expenditure. Like the early Apollo missions, the winning Google Lunar X PRIZE mission will reach billions of people. By reaching this audience, White Label Space will offer an unprecedented advertising opportunity and will create strong and enduring brand associations for international companies operating in industries such as technology, automotive, telecommunications, transportation and finance. From its Global Headquarters in the Netherlands, White Label Space will continue to build strong partnerships with companies and organisations around the world, particularly those that are interested in stepping into the space market or expanding their existing market share. Making maximum use of web technologies, White Label Space will provide an integrated promotional platform that showcases the partners' capabilities and products. 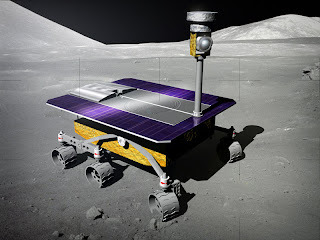 By cooperating in the development of the White Label Space Google Lunar X PRIZE mission, the partners will also develop new technologies and products that can be reused in future space missions. By extensively using social media to engage the public at large, White Label Space will reach beyond the space-enthusiast community and inspire people from all walks of life to join its exiting journey of discovery and adventure. The founding members of Google Lunar X PRIZE Team White Label Space include members of the Lunar Explorers Society (LUNEX) and participants in the Euromoon 2000 project, a European Space Agency (ESA) plan for a lunar surface exploration. LUNEX is an international space advocacy organization that aims to promote the exploration of the Moon for the benefit of humanity. LUNEX members believe that the Moon is the next and most important step in the human exploration of the solar system and are dedicated to help achieve this goal through furthering international cooperation, outreach activities and general enlightening of the public. In pursuing this aim LUNEX hopes to bring the benefits of the Moon to all people on Earth through a sustainable exploration process. Euromoon 2000 was an initiative of the European Space Agency (ESA) in the 1990s that aimed to land a robotic craft on the rim of the Shackleton Crater at the Moon's south pole in the year 2000. The efforts to develop the Euromoon 2000 mission plan were led by the Dutch Astronaut Wubbo Ockels, who assembled a team of over 25 engineers and scientists from ESA and industry to make a preliminary mission assessment study, building upon some related studies that took place in the preceding years. ESA was not able to find the budget for the mission but the efforts and progress made at that time are relevant to any European team wishing to compete in the Google Lunar X PRIZE. The White Label Space team's goal is to appeal to investors by assembling a strong international technical team capable of winning the Google Lunar X PRIZE. White Label Space sees the creation of strong partnerships as a key element of this vision. Partners will benefit by showcasing their technology, products and capabilities on the international stage. To build an effective team, White Label Space will focus on interoperability and will develop interchangeable and modular designs that will lead to new interface standards for low cost space missions. This open and collaborative approach is analogous to what the internet revolution has done for business and the shift away from closed proprietary standards to open ones, where anybody can contribute and benefit. White Label Space recognizes the enormous possibilities of the internet to share knowledge and organize information, to realize international collaborative projects more ambitious than ever attempted before. White Label Space intends to use the latest such internet technologies and will continue to update and modernise its internet infrastructure, looking to emerging internet technologies such as cloud computing for use with distributed project collaboration. White Label Space has a strong network of partners around the world that are helping to develop technologies and equipment for its Google Lunar X PRIZE mission. White Label Space is continually looking to form new partnerships with capable partners from all over the world and discussions are currently under way with three other potential partners. White Label Space sees this as the beginning of an adventure that has far reaching consequences for all of humanity. For us the GLXP is the starting point of the next wave of space exploration where the common person can become a contributor and not just a spectator.